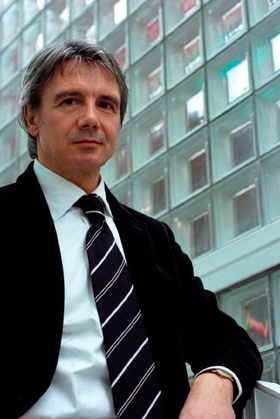 Former Citroen chief designer Donato Coco will lead expanding design activities at Lotus. MUNICH -- British car company Lotus has named Donato Coco as its director of design. Previously, Coco was director of design and development for Ferrari, where he worked on the 458 Italia, the F430, the Spider 16M, the California and the 599XX. Coco starts his new job on January 4. He follows new Lotus CEO Dany Bahar, who was a sales executive for Ferrari. "We have a very busy few years ahead of us as we are working on a new strategic business plan which will include the introduction of an all-new range of Lotus cars and expansion of our third party design work," Bahar said in a statement. In his newly created role, Donato will lead all Lotus Design activities for Lotus Cars and Lotus Engineering. Coco, an Italian, also worked for Citroen, where he rose to chief designer. He was responsible for the Xsara, Picasso, C3 and other cars. Russell Carr remains head of Lotus design, and he will continue to work on Lotus cars and on its third-party projects, an area that is growing rapidly for Lotus in emerging Asian markets, the company said.